Fisher House of the Emerald Coast depends upon individual and corporate partners to continue the work of supporting our military families. 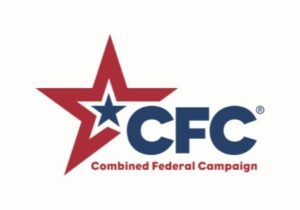 Please join the growing family of Northwest Florida residents that support our troops by contributing to the operation of the Fisher House of the Emerald Coast. Your financial contribution is vital and will be gratefully received. All gifts are tax-deductible, to the maximum extent allowable by law, and may be made via check, credit card, gifts of securities, or through the Combined Federal Campaign (code# 66684). * Helping Heroes – 12th Annual Fisher House Gala, October 17, 2019 at the Henderson Beach Resort and Spa. Sponsorship opportunities will be available soon. Each year we are blessed with a sold-out event with 300 friends and fans of Fisher House attending so that we can keep families together for hope and healing. Check back for details on other events, like the 6th Annual Eggs on the Beach, benefiting your local Fisher House. Thanks Wayne and Susan Kiley of Bay Breeze Patio. The date is set, September 28 at Seascape. Sponsors, cook teams and those who love barbeque, get on board the Egg Train now to Seascape! Brock Lawn and Pest generously supports Fisher House each year and has placed in the top three, donating their winnings to our house on Eglin AFB. Contact Mia Hughes to become a Marketing Partner. Fisher House of the Emerald Coast, Inc. welcomes support from our corporate and civic friends in the community. Please contact Mia Hughes at 850-259-4956 to learn more. To make a donation via credit card, click here or call 850-259-4956 for personalized service. Thank you for your support! There are 12 guest rooms in the Fisher House and for our “suite sponsors”, they get a Sweet plaque outside the room for the entire year. Donations of $5,000 annually. Epsilon Sigma of Kappa Sigma Fraternity, Legendary Marine and L3-Crestview Aerospace just received their 2018 plaques. Monthly installments are an option to help YOU say YES! Chuck and Diane Ruffner have joined as a suite sponsor in memory of their son, Matt who was killed in action, April 9, 2013 while serving our country in the Pachir Wa Agam district, Afghanistan, when his AH-64 Apache helicopter crashed. 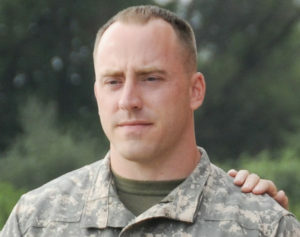 Also killed was Army Chief Warrant Officer 2 Jarett M. Yoder, 26, of Mohnton, Pa. Many honors have been bestowed upon Matt, honoring his service and love of country and flying Apaches. A painting by military artist Larry Selman hangs at Fort Indiantown Gap in Annville, Pennsylvania honoring Matthew and his co-pilot CW2 Jarett Yoder on their final mission in Afghanistan. He was awarded the Bronze Star (posthumously) for his actions of saving a ground unit that had come under fire, and was awarded the Aviation Mission Survivability Officer Award for 2013 by the AAAA for his life saving mission planning. In Harrisburg, Pennsylvania a bridge has been named after Matt. He excelled at sports, was a talented guitarist and was a graduate of Indiana University Pennsylvania with a BA in Criminology. All gave some, some gave all. Fisher House of the Emerald Coast welcomes support from our corporate and civic friends in the community. We love our community partners, become one today and host an event! Want to volunteer? 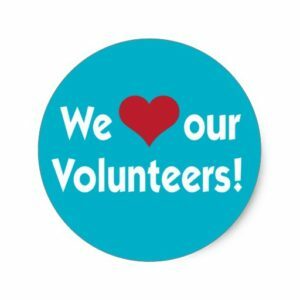 We love our volunteers! Volunteer opportunities are on the right hand side of our home page and may also be accessed here.